It isn’t yet October but the ‘pink’ breast cancer awareness folks are already ramping up their fundraising frenzy. This most likely leads you the believe that, as an almost thirteen year cancer survivor, I am enthused about the varied events, products, and stories coming out of the breast cancer money machine. After all, isn’t awareness and funding a part of the ‘cure’? Sadly, however, that assessment is far from the truth. Yes, I wear my survival scars, both physical and mental, as a badge of honor. Yet, as an insider, I am aware of the pitfalls, deficiencies, and downright betrayal administered by those who portray themselves as advocates. After all these years, my hand to hand combat with this evil monster of a disease, is still shockingly real. The BRCA1 gene, prevalent in my maternal line, cost me a great grandmother in her 40’s, my grandmother at 42, and my mother at 58. Cancer even tried to take both my 28 year old daughter and her unborn child in 2009. Through it all, I’ve fought the good fight and, for the time being, I am winning! My enemy surrounds me, though, and is never far from me – lurking in the corners of my subconscious. This formidable foe never sleeps. Were it not for my Catholic faith, cancer would have won years ago – one way or another. A small consolation of having cancer, however, is a certain sense of ‘belonging’ to a highly specialized Club. It’s truly not a Club to voluntarily join. The ‘hazing’ of this club is difficult to survive – a life or death struggle. But once you are ‘in’ you are a Star! I truly love my brothers and sisters in cancer. We cling together. When one suffers, we all suffer. When one dies, a little piece of us dies with them. And when we battle, we battle hand-in-hand, with not a single worry of how we look to the ‘outsiders’…we are a family and our numbers make us strong! For me, however, there is also a very personal pain associated with membership. This pain is one of seclusion and exclusion. It haunts me and propels me at the same time. I want to share my thoughts but often find myself shunned, even by my fellow Club Members. As much as I seek camaraderie and unity, I simply can’t compromise my principles to join the ‘Inner Circle’ of this crowd. I’ve been blackballed…excluded by none other than the Susan G Komen foundation, and others like her*. The Susan G Komen organization proclaims to care about us – the victims, the survivors, the dead. But she has deceptive ways and uses the members of the Club for her own gain. Komen talks the talk of healing, research, and of the ‘cure’ but lies. Her ways are not my ways; her god is not my God. Komen and groups like her worship at the table of public pride and seek the monetary reward of donations and status. Yet the benefit for victims is far outnumbered by the machinations of this bulky organization. Shockingly, Komen has ungodly bedfellows. Even as she proclaims to fight for a cure she sashays around, hand-in-hand, with Planned Parenthood (PP). PP receives a large share of Komen’s ill-gotten gains. In 2017 alone, Susan G. Komen donated over $450,000 to Planned Parenthood chapters. PP, the nation’s largest provider of abortion. Abortion is a procedure which is known to vastly increase breast cancer. Under the guise of ‘prevention’ Komen gives donor money to PP, even though they do not provide a single mammogram anywhere in the nation. PP, who cannot and does not help any who are in the clutches of breast cancer! Pro-life advocates simply can’t support Komen unless or until she becomes morally sound. Ironically I’ve had the honor of having my name written on a jersey of someone who ‘raced for the cure’. This created quite an awkward situation for us both. The well-meaning friend was chagrined to learn of the Komen/PP connection. I hated to cause her pain – after all, she was being considerate and ‘honoring’ my daughter and me. But you can’t be squeamish with your principles and so I had to share the sad facts. It’s heartening that there are more stories exposing this uncomfortable truth out there this year, sharing details of this illicit relationship. More people are aware of how blatantly we Cancer Fighters are being used as a commodity. Some Bishops in the United States ask the parishes in their diocese not to promote or donate to Komen. 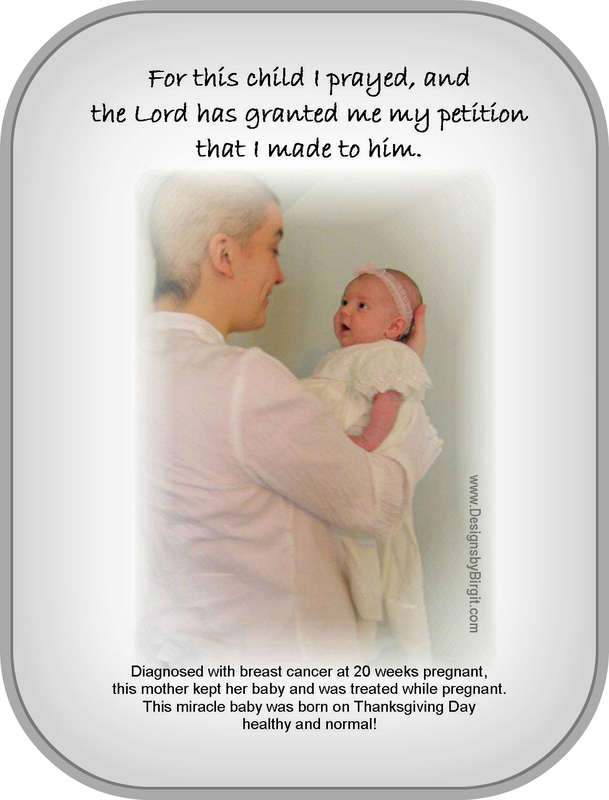 There are stories all around the pro-life community and medical journal articles published showing the abortion/breast cancer link. This is great news! One of these days, I’ll be able to join the Elite Club and walk or run or race for the cure. In the mean time, I’ll continue to cringe reflexively whenever I see the pink bedecked masses. I’ll not be a part of that particular Pink Parade. Won’t you join in spreading the truth and promote the licit organizations? In addition to donating to Planned Parenthood, the American Cancer Society also supports research using Embryonic Stem Cells. These are cell lines derived from aborted babies. The ACS is therefore also on the illicit organizations list. Directly to a Cancer Victim: At age 28, Erika was diagnosed with Breast Cancer. She was also 20 weeks pregnant. Due to her illness she lost her job. Her side effects from treatment and surgery still affect her to this day. The Polycarp Research Institute (TPRI): TPRI performs high-quality medical research & serves as a resource center. Research areas: Abortion – Breast Cancer, Oral Contraceptive – Breast Cancer, Postfertilization effect of Emergency Contraception, Postfertilization effect of Oral Contraceptive. Breast Cancer Prevention Institute Home Page: Our website is dedicated to providing the most up-to-date and accurate information to medical professionals and the general public on how to prevent breast cancer. Our on-line publications, as well as our list of other resources, are all designed to provide you with knowledge of practical, risk-reduction strategies. National Breast Cancer Foundation® Official Site – Information, Awareness & Donations: Breast cancer information, facts, statistics, symptoms and treatments, early detection, mammography screenings, and breast cancer research from the official non-profit source offering charity donations and corporate sponsorship opportunities for breast cancer. If you know of any other morally sound cancer organizations or causes, please comment below. Next story Scarlett O’Hara or Saint? Thanks. I too am an eight year breast cancer survivor. Besides the PP link, a very small percentage of the money they collect actually goes to research or directly to help survivors. I didn’t know that about ACS. I appreciate the list of good places to donate. May I share your post, please. God bless you and your family. @LindaKR congratulations on your eight years! Yes, it’s a tricky business to figure out the moral aspects of organizations these days. Evil is creeping in. Of course you may share my post – in fact, I encourage it. The more people who know, the more good impact we can make. God bless! 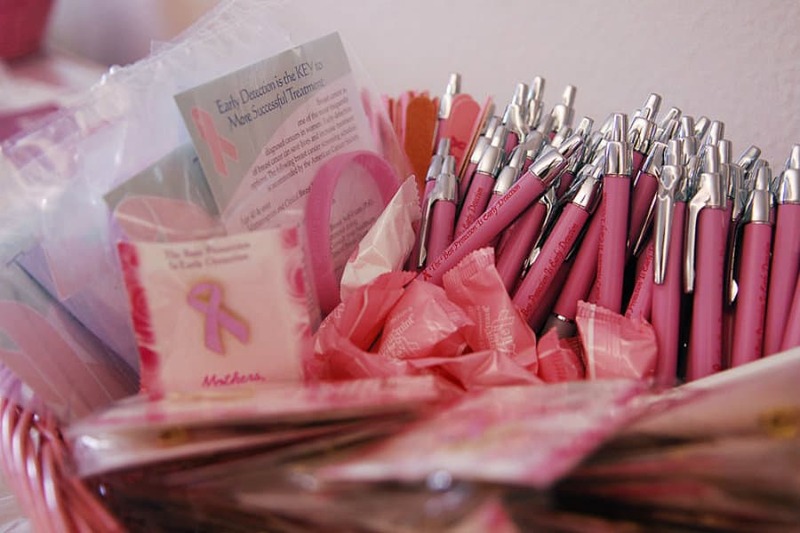 Breast Cancer Prevention Institute does an excellent job informing women about risk factors.